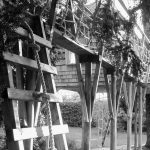 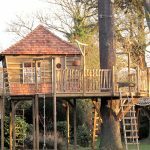 Our clients were very excited by the idea of a tree house in their garden and claimed that it was predominantly for their active and imaginative 5 year old son (much sword wielding and dragon slaying when we first visited the site). 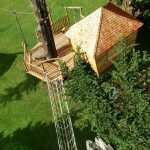 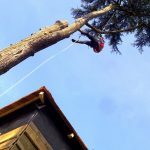 In reality, his father was particularly looking forward to joining in the fun and was re assured to here that the tree house zipwire was adult friendly. 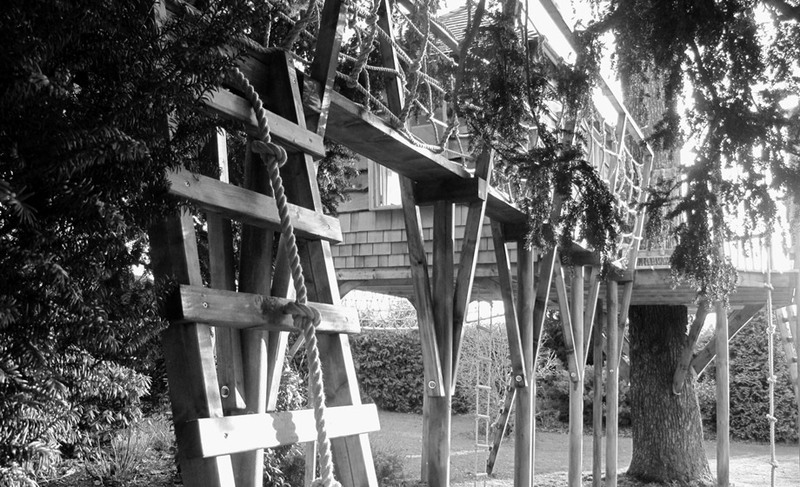 It was essential that the whole tree house scheme had plenty of activities and encouraged movement around the different elements. 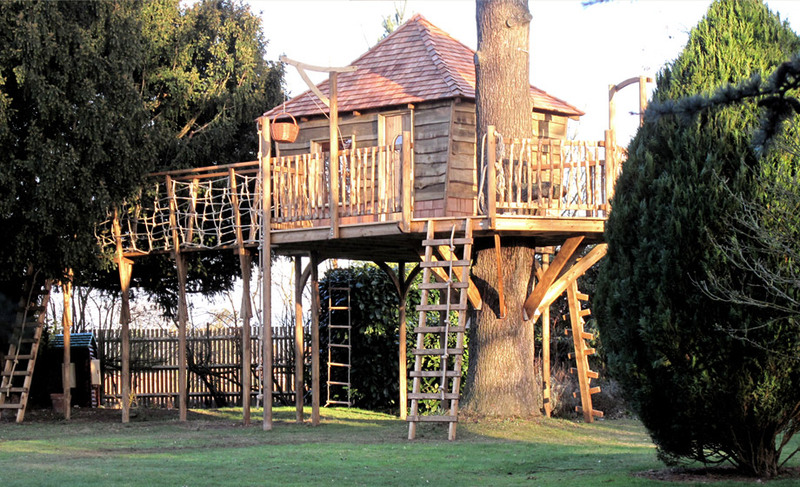 Several children should be happily entertained at the same time, and of course safety was an important consideration. 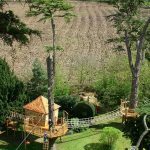 Our client was also justifiably proud of his garden and so the scheme needed to work well with the overall landscape and existing trees. 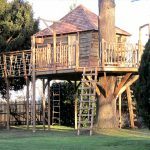 What isn’t there to do around this tree house? 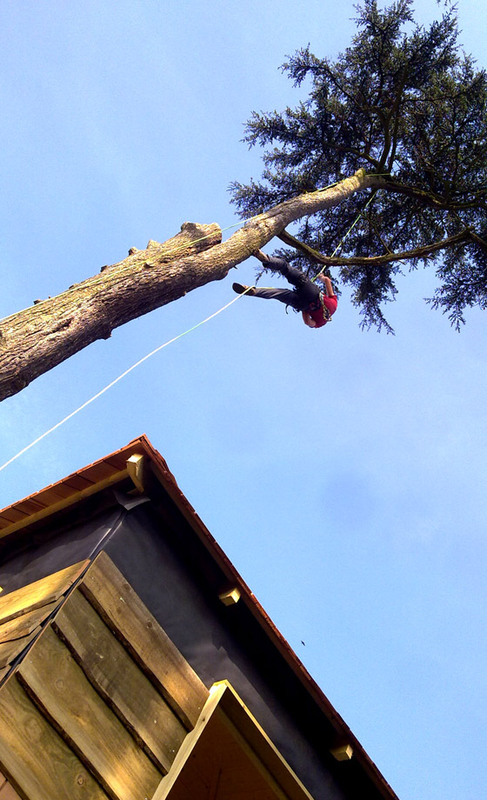 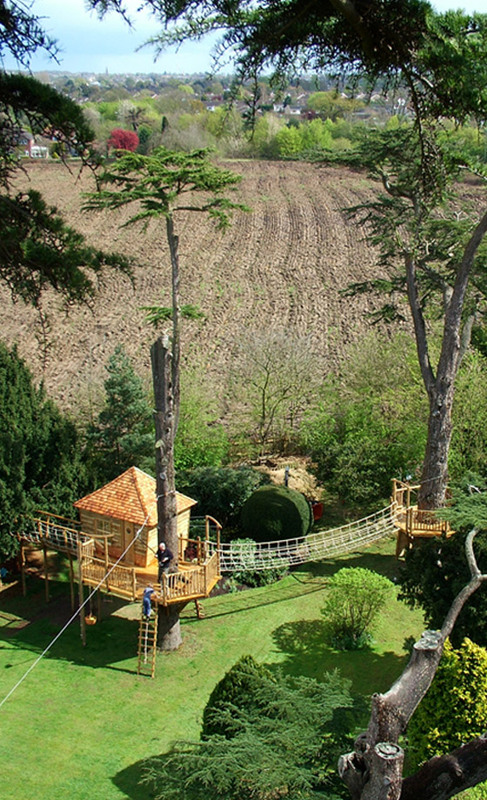 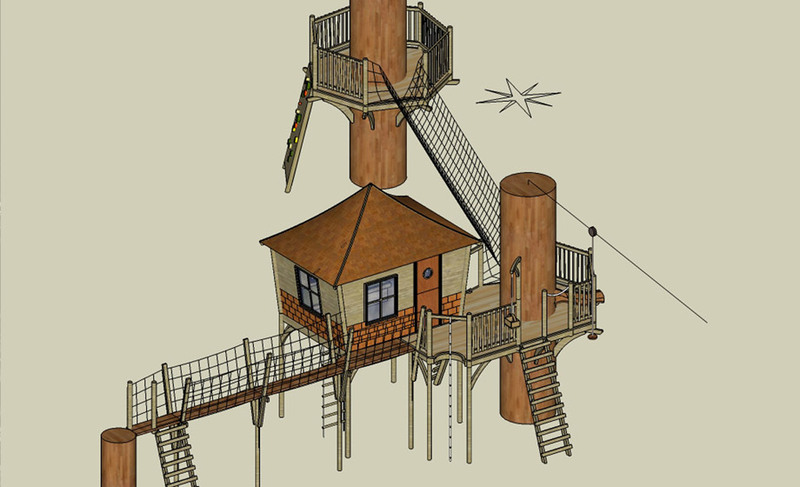 Centred around a medium sized enclosed treehouse space, there are a multitude of activity features, whichever way you turn: a narrow “chicken run” walkway, a climbing knotted rope, a rope climbing net, a more challenging Jungle V Bridge to a second tree platform, a rope ladder and trap door, a raised bunk level, and a long and exciting zipwire from the tree house balcony. 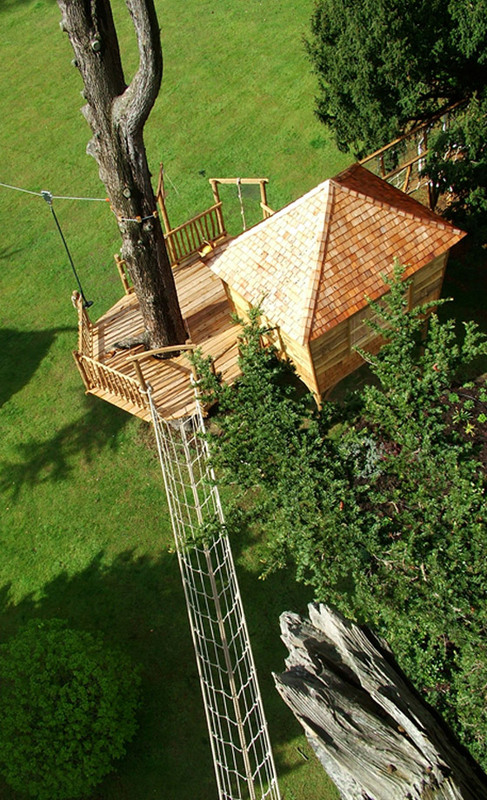 The main structure is built around two enormous pine trees, and supported by strong poles where it moves further away from these. 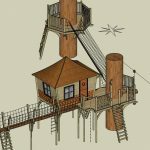 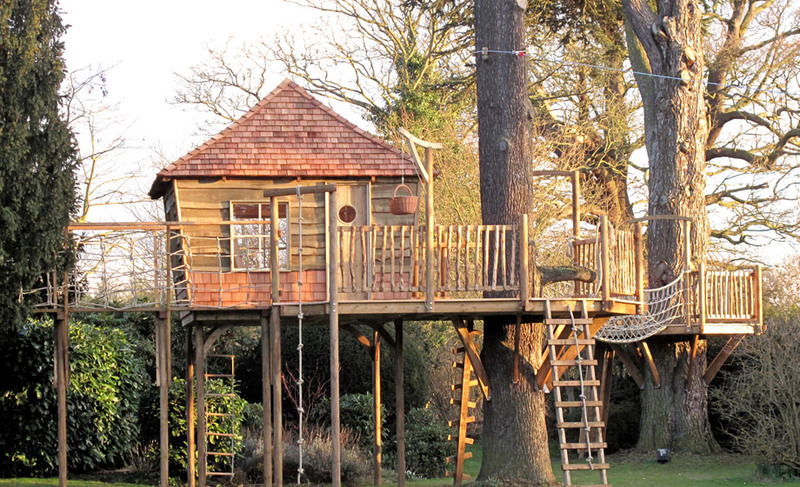 An action-packed and exciting tree house scheme. 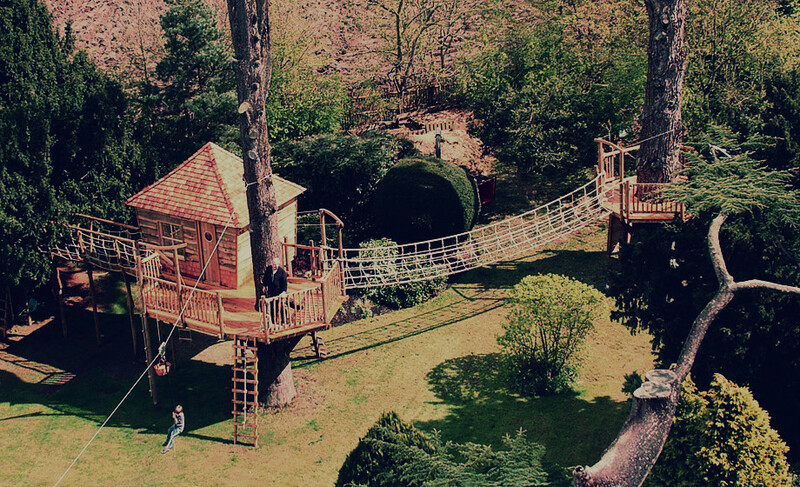 Built essentially for the children but, in reality, you can't keep the parents away.